I've had a few requests for additional logos, so I thought I'd post a few here in case anyone would like an extra logo to use to give credit or to link back to Whimsy Clips. 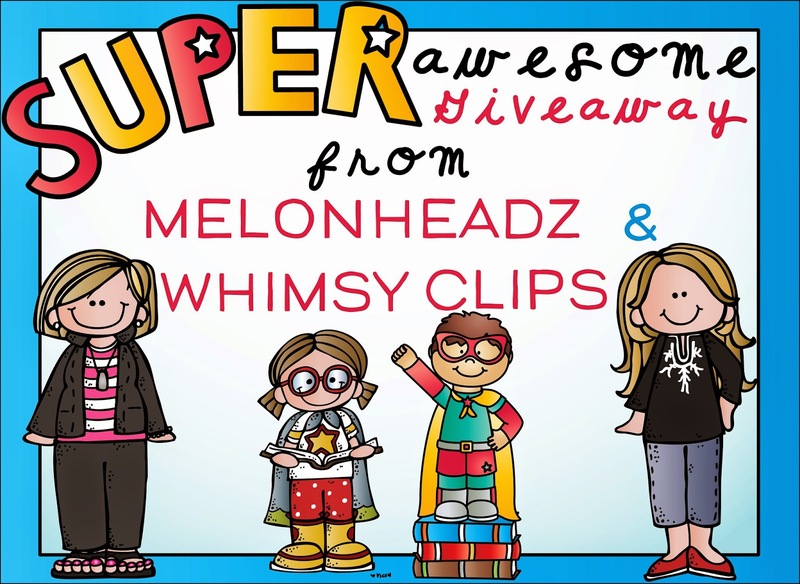 Melonheadz and I have teamed up again for another EXCITING giveaway! We LOVE this giveaway and think you will, too! Two lucky winners will receive $150 worth of books of their choice for their classrooms AND a $50 gift card for Staples to help purchase classroom supplies. We've also created 2 printable bookmarks and superhero clip art which are available for you to download during the giveaway. 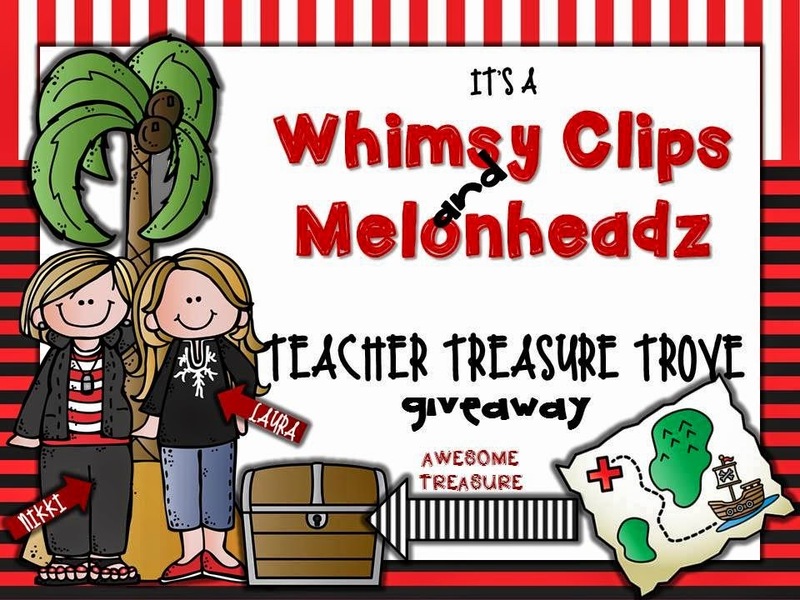 Hop on over to Melonheadz blog to enter the giveaway and download the freebies! We will email the winner soon! I'm SOOOOOO excited to share this fun giveaway with all of you! Nikki (Melonheadz) and I have teamed up for a very special giveaway. Look at this super cute flyer she made! Check us out - she drew me, too! LOVE IT! 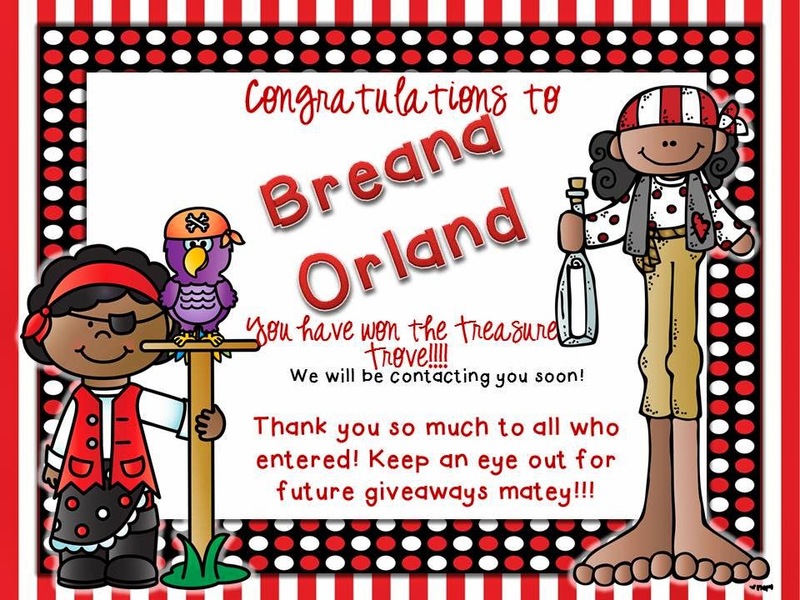 Visit Nikki's blog HERE to see the goodies included and to enter our Teacher Treasure Trove giveaway. 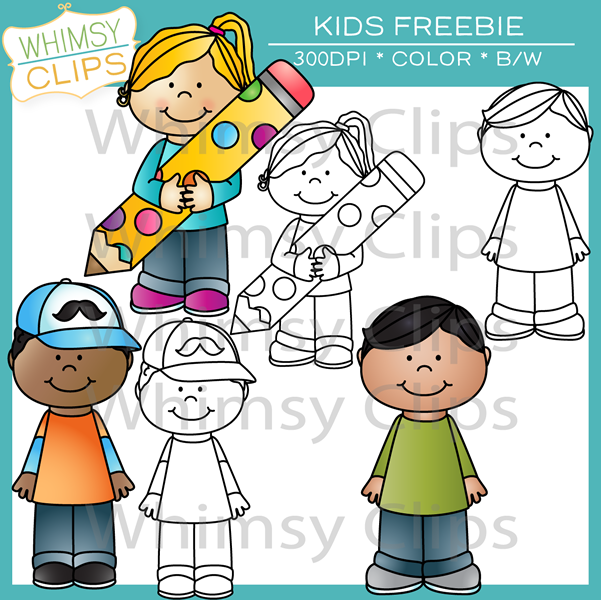 I've added a kids clip art freebie to my TpT store. 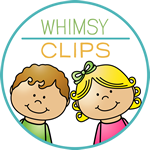 I wanted to thank all of you in some way for supporting me as I launched Whimsy Clips last year. Starting Whimsy Clips was scary and exciting. All of you have been so kind and so supportive and I would not be here without you! Thank you so much! 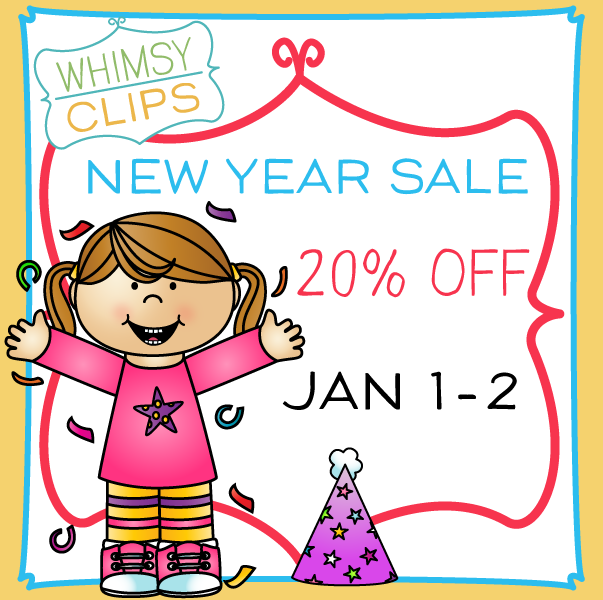 20% off New Year Sale - Whoohoo! I really want to thank all of you for your support over the past year. 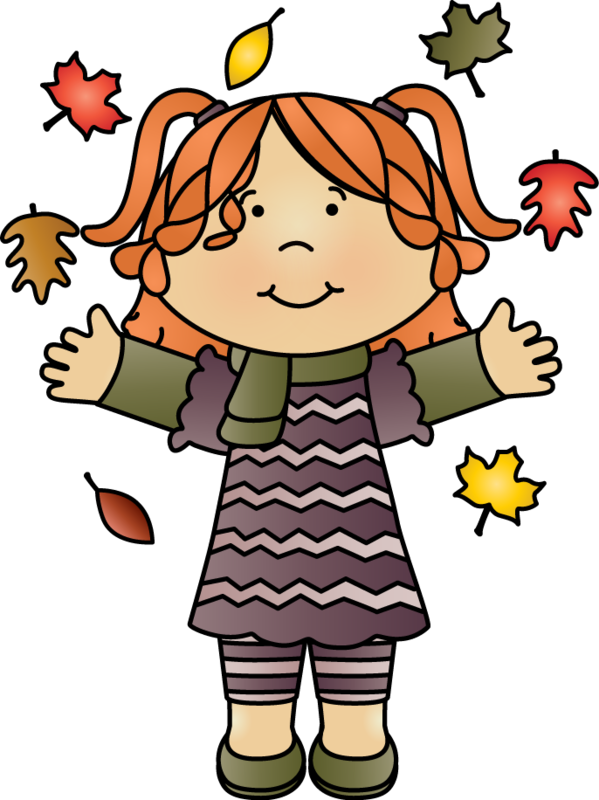 I've been making clip art for 15 years (wow, I didn't realize it had been that long until I typed it lol! ), and as most of you know I've provided free clip art for many years. 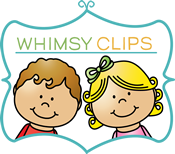 Last year was a turning point and launching Whimsy Clips was a culmination of years of hard work, and I would not be here without you and the support and kindness you've shown. I can never truly thank you enough. You've not only touched my life, you've changed it! I'm beyond grateful that I'm able to spend my days (and nights) drawing my little characters etc. Thank you all so much! I've been so busy lately and haven't had a chance to use this blog for all the fun things I'd like to do. :) I'm trying to work on Christmas but my mind is stuck in autumn. Christmas music in October isn't helping. LOL!